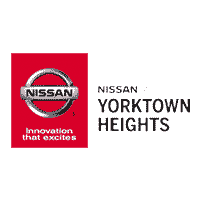 At Nissan of Yorktown Heights, we work hard to uphold our reputation for providing top-notch service, and our drivers agree. After going for a simple oil change and checkup for a rattling sound at her local auto service shop, she was told that her car was “unsafe” to drive and would cost $8,000 in repairs. Susan decided to take her car to Nissan of Yorktown Heights for a second opinion instead. Just read what she had to say! Please use the buttons below to schedule service at our dealership or contact our Service Department. You can also call us at (914) 737-3500.